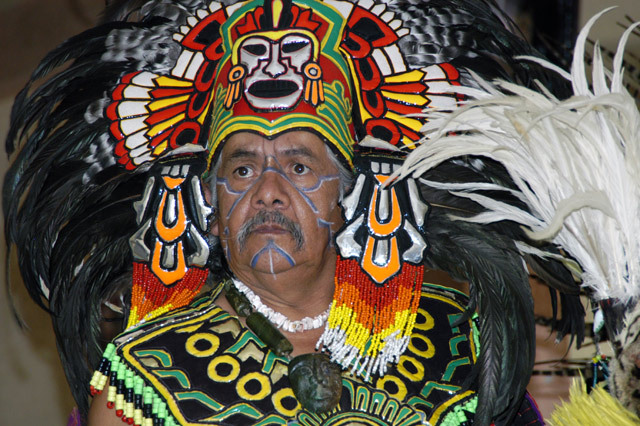 Aztec I: A dancer in Aztec garb, starting out his call to dancing. Teotihuac�n, Mexico. Nikon D100, Nikkor 24-120/3.5-5.6 VR ISO500, D-TTL built-in flash used.